Larry is the secular son in a family of Orthodox Brooklyn Jews. When his father dies, it's his responsibility to recite the Kaddish, the Jewish prayer for the dead, every day for eleven months. To the horror and dismay of his sister, Larry refuses--imperiling the fate of his father's soul. To appease her, Larry hatches an ingenious if cynical plan, hiring a stranger through a website called kaddish.com to recite the prayer and shepherd his father's soul safely to rest. 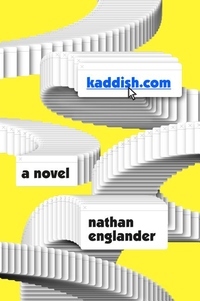 Sharp, irreverent, hilarious, and wholly irresistible, Englander's tale of a son who makes a diabolical compromise ingeniously captures the tensions between tradition and modernity--a book to be devoured in a single sitting whose pleasures and provocations will be savored long after.